Cambridge University Press, Cambridge, 1971. Printed by Henry Lintot . . . for T. Osborne in Gray's Inn, London, 1742. Cambridge University Press, Cambridge, 1996. J.K. Wiggin & Wm. Parsons Lunt, Boston, 1867.
Cooper Square Publishers, Inc., New York, 1964. Facsimile selections from Arber's 19th century "English Garner"
Printed by the deputies of C. Barker, London, 1597. Johnson, et al (eds. ), Robert C.
Yale University Press, New Haven, 1977-83. T. Fisher Unwin Ltd., London, 1926. J.C. Juta, Cape Town, 1868. Oxford University Press, Oxford, 2017. At the Clarendon Press, Oxford, 1970. Printed for Joseph Downing, in Bartholomew Close [etc. ], London, 1724. 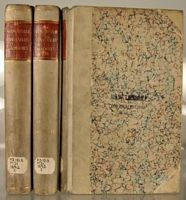 A "literally gigantic" work and the best early source for the life and works of Jenkins, "easily the greatest of the civilians of his day" in Holdsworth's words, brought together by Serjeant Wynne who "was to Jenkins as Boswell was to Johnson"
Printed for G.G.J. and J. Robinson [etc. ], London, 1793. J.E. Cornish, 16, St. Ann's Square, Manchester, 1891-.